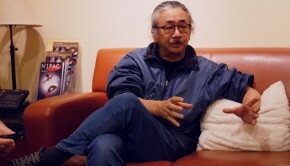 Nobuo Uematsu is considered one of the most famous and well-respected videogame composers of all time, having worked on a majority of the Final Fantasy series. 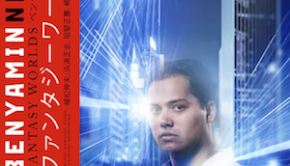 Since his departure from Square Enix in 2004, he has freelanced for a number of publishers. His recent work includes scoring games like Terra Battle, Granblue Fantasy and Fantasy Life. He continues to attend Distant Worlds: music from Final Fantasy concerts held all around the world while also performing in his own band, Earthbound Papas. 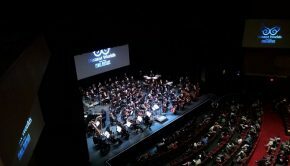 In this interview conducted prior to the two Distant Worlds: music from Final Fantasy concerts held at the New Jersey Performing Arts Center in Newark, Uematsu talks Final Fantasy, Terra Battle, craft beer and what the future holds for him. Patrick: Uematsu-san, thank you so much for taking the time to sit down and talk. So, I wanted to start with what kind of music you’ve been listening to lately? Nobuo Uematsu: I don’t listen to any “new” music, but I’m always listening to old music, 70s rock, jazz fusion and classical music. Patrick: Many of your battle themes begin with a signature bass guitar intro. Patrick: Where did that idea to start with a bass intro come from? How did that become a tradition for Final Fantasy? 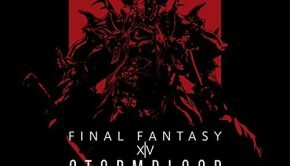 Nobuo Uematsu: When I made the bassline for the first Final Fantasy, it had a very big impact, so I used it for the second one. When someone uses something for two parts of the series, it’s going to be kind of regular. Patrick: So it just caught on, I see. So as a drummer, I find that Final Fantasy V’s “Clash on the Big Bridge” to be a very fun song to play on the drums. I was curious to know what kind of prog rock bands you were listening to that influenced you when writing “Clash on the Big Bridge,” because I notice Deep Purple, Emerson, Lake and Palmer. That kind of influence. Nobuo Uematsu: I wasn’t really thinking about specific prog music when I composed it. Maybe as you said, it’s like Deep Purple, cool 8-bit music, so Deep Purple’s drummer, Ian Paice. That’s the kind of image I had. Patrick: I hear that you’re a big fan of beer. I got you this six-pack here. Do you have a favorite beer or micro-brew? Nobuo Uematsu: I really like Ebis Beer from Japan. There are too many micro-breweries in Japan. It’s difficult to try all of the micro-brews. I used to make my own original beer, but I will start again from this April. Just for fun. I have some concept art here. This is from Yoshitaka Amano. This is his original concept art for the chocobo, which is kind of freaky. Kind of scary, if you think about it. So I was curious, what do you think the “Chocobo Theme” would have sounded like, if this was the art you went by? Because the original “Chocobo Theme” is very cute and happy. This is a little more scary. So what do you think the theme would have been like if this is what they looked like? 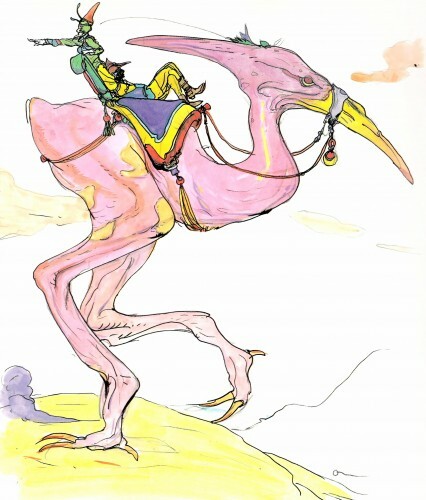 Yoshitaka Amano’s original concept art for the Chocobo from Final Fantasy II. Patrick: You’ve recently judged for the Theatrhythm: Curtain Call contest, so I was curious to know, how did it feel to see so many different entries from fans that were covering the “Main Theme” from Final Fantasy? Nobuo Uematsu: I’m very happy, and very surprised by the many ideas and performances that everyone uploaded. Patrick: What do you think of the various videogame music cover bands that cover your music? Do you have a favorite band that does those covers? Nobuo Uematsu: I don’t know specific band names, and haven’t watched their performances yet. Patrick: There’s a lot at MAGFest that cover your music. You have a newer soundtrack, Terra Battle, that you composed. I find that it’s very experimental in nature. There’s a lot of classic, Uematsu-san sound to it, but there’s also very experimental music that I recall in the menu theme, “The Maker’s Beckoning.” So I was curious about the inspiration for this song, and the vocal line for it. Nobuo Uematsu: The first idea I had was to use the vocoder. I know it was popular in the 80s, not so much recently. It was my first idea, composing that menu song. Using only vocoder is kind of unoriginal, and boring, so I wanted to use some breakbeats. Breakbeats are something I don’t usually do. So it came from those two ideas: using vocoder and breakbeats. Patrick: Is there a videogame series that you would love to compose a soundtrack for, someday? Something that you have never worked on – an existing series that you would love to see yourself working on? Nobuo Uematsu: Not where the games and the music already exist. I never thought about it. Patrick: So if there’s a new project, you’ll compose for it, not so much a series that’s been existing. Why do you think people love videogame music so much? Nobuo Uematsu: It’s unlike usual music, with an introduction…bridge. If you’re in a field, you’re listening to the field music looping forever. It has the chance for users to listen so many times, so it will be more impressionable. Patrick: What’s next for the band Earthbound Papas? Is there any particular game music you want to cover with the band? Nobuo Uematsu: Of course, there’s a lot of Final Fantasy music which Earthbound Papas haven’t performed yet and wants to do. This year, I have a chance to do some Terra Battle with Earthbound Papas, so I have to start rehearsing. Patrick: I’m looking forward to Terra Battle covers, that’s cool! Back when Final Fantasy VIII came out, there was a demo for the game. There was music, called “The Landing” which was changed in the final version of the game. I was curious to know why this music was changed. The demo music and the actual music in the game is very different. Nobuo Uematsu: Making those kinds of demo versions, the whole staff is rushing for the release. I had to put something on it, so I quickly put that music. I thought that maybe I could use that music on another place, use it for a different image, but it was forgotten. I have several music tracks like that which are made for the demo version, but not used in the final version. Patrick: I see, placeholder music, as they call it. So recently, you supervised the production of the Final Fantasy VI Symphonic Poem / [Final Symphony], in London, the Abbey Road Studios. So I was curious about how that experience was for you, recording there. 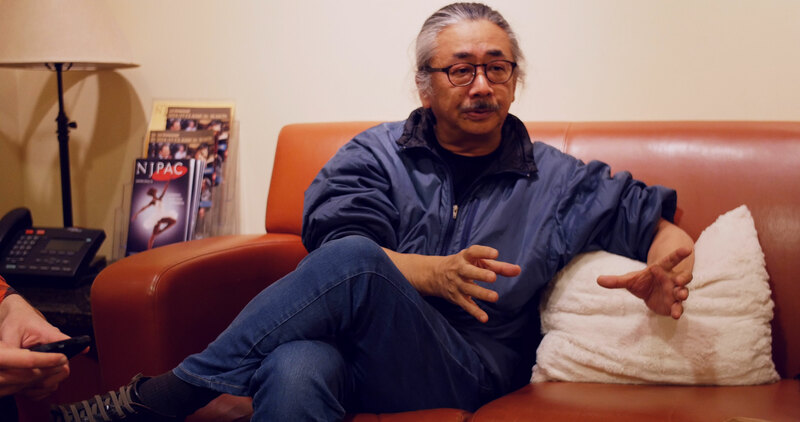 Nobuo Uematsu: When I started working with videogame music as a composer, no one was interested in working for a videogame at the time, so I didn’t imagine that videogame music could be such a big thing. I was surprised by the musical essence of that album. Musically, it was really high quality, including the arrangements by Jonne [Valtonen] and Roger [Wanamo]. I was really surprised by that. Patrick: You’ve mentioned before that witnessing an orchestra playing your music made you very emotional. Was there a particular piece they played that made you very emotional? Patrick: Finally, to wrap up, is there anything you still want to accomplish musically before you retire? You’ve done so much now, what other goals do you have in mind for music? Nobuo Uematsu: Recently, I’ve been so busy composing for many videogames and other things. I always compose, but I have arrangers handling the arrangements and I have orchestras performing. I’m creating things with so many people. Of course, that is one of the best parts about music and I like it so much. Recently, I’ve wanted to create something with just a synthesizer, composed by myself. Also arranging and performing by myself. I want to start those kind of challenges. Patrick: That’s great, I look forward to that. Patrick: Do you want to tour by yourself, too, maybe? Nobuo Uematsu: [laughs] That’s good. Patrick: Uematsu-san, thank you so much for being here. Thank you for your music. It’s a pleasure. Ogawa-san, thank you so much for translating. Posted on February 27, 2015 by Patrick Kulikowski. Last modified on April 12, 2015. Excellent interview. Thanks for sharing!